The holidays are a busy time of year, requiring much of our time, energy and money to be consumed with preparations for family gatherings, and shopping for gifts for our loved ones. With all the hustling and bustling of the season my wife and I haven’t had much “us” time. We definitely needed a date night, but with the budget tight due to holiday spending, the funds available for a date night are virtually nonexistent. But would you believe me if I said I found a way to have a romantic date night complete with gourmet meal and a movie for $15? Let me show you how. It’s all part of a new promotion by K-Y Yours+Mine lubricants that provides you with all the means necessary to bring a little holiday cheer back into your relationship with your special someone. 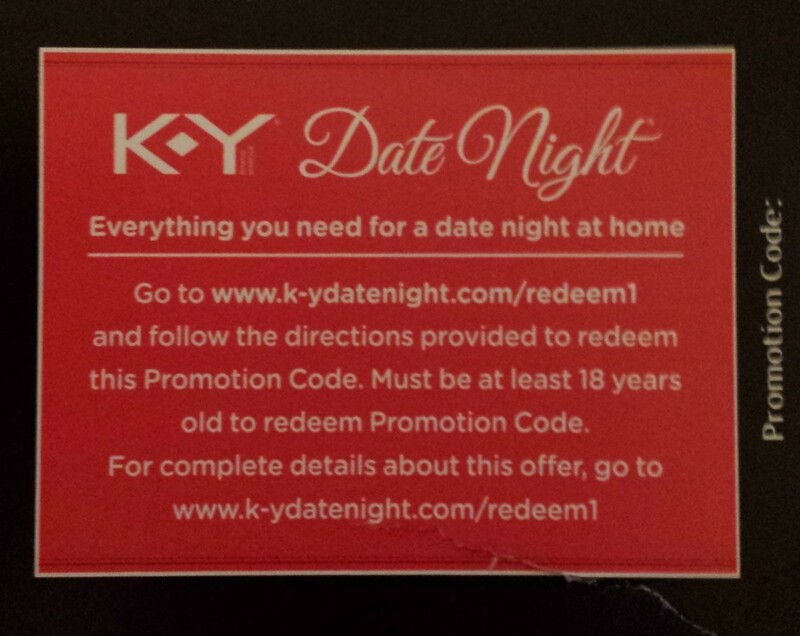 The first step is to purchase a package of K-Y Yours+Mine personal lubricants that is marked with the “Date Night In” promotion. It retails for just under $15 at Walmart, and contains everything you need for a special night in. The package will contain a code to be redeemed on their website. Once this has been completed, you will receive an email for two free plates from Plated, and another email containing a free movie rental credit from Vudu. We ordered our food from Plated on Saturday, and it was delivered to our doorstep the following Tuesday. The menu options are gourmet meals created by real chefs that are sure to (literally) knock the socks off your date. We kicked off our date night in by making our gourmet meal together. 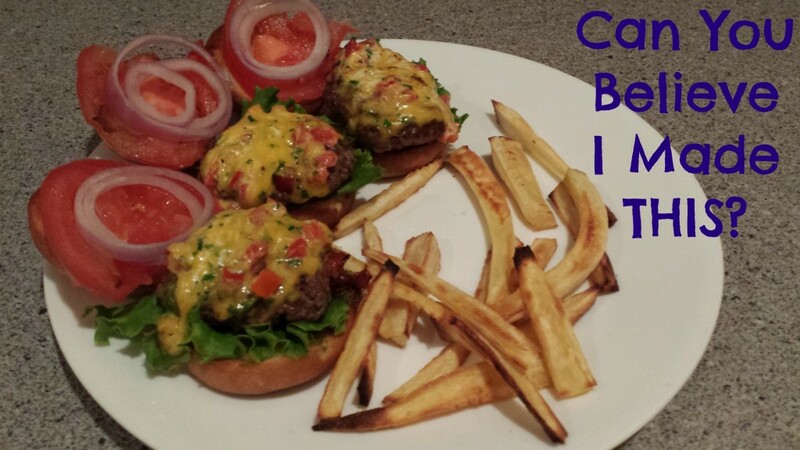 We playfully enjoyed each other’s company while following the step by step instructions included with the ingredients to make pimiento cheeseburger sliders with parsnip fries. After devouring our food, we snuggled up on the couch to watch our free movie rental through Vudu’s streaming service on our blue-ray player. For purchasing a $15 product, we got a meal (2 plates at Plated would normally cost $30), a free movie rental from Vudu (value of $5), and most importantly, some precious alone time with my wife. But what about the actual K-Y product? Sorry friends, you’ll have to have your own date night and find out for yourself. Have you had a date night recently? How much did it cost you? Our 8 year anniversary is tomorrow and we secured a hotel room and a night away from the kids. I guess I should’ve moved faster on this promotion??? Time away from the kids is always important in a marriage – you could always use the meal and movie another time! 🙂 Congrats on your anniversary!!! Well what can I say…lol! I’m single so I have an even cheaper date night planned with myself and free Netflix. 🙂 hee. Love this post though, and glad you have a nice evening with your wife. We always have fun together, but having the perks that came with the promotion sure was nice. Thanks for reading, Tonya!! Definitely looks like a good deal! I went on a date night to the Hunger games this weekend, but we had two free movie tickets because a few months back we went to one and the AC was broken. Essentially it only cost us the gas to get there and back. Great movie….and you can’t complain about free tickets! If you’ve never tried Plated.com I recommend it, the food was awesome. This promotion is a fantastic way to try it out for free – thanks for stopping by DC! Lol, that’s awesome Travis! Fun post and great idea! Our last date night was last month for my wife’s birthday and we definitely did not spend $15. It was well worth it though to pamper her some. That said, we don’t have date nights enough and is on our docket to change that next year! Gotta make time for those date nights, John – good for you for pampering your wife on her birthday, our significant others deserve it!! I love this post. Had no idea KY was doing a promotion like this…going to have to go shopping! Thanks! Haha, Joshua! With everything that comes with the promotion, it’s definitely worth it!!! Yea buddy, it’s still available at my local Walmart, just picked it up last night! Good for you, Joshua….enjoy your date night! My hubby and I haven’t had a date night in what seems like forever! Here’s your opportunity, Mackenzie…….pick up a package! Thanks for an extremely fun read Travis and those parsnip freis look interesting! Take care and all the best. Glad you enjoyed the post, Lyle! I’ve never had parsnips before, and they were definitely different – I tried with and without salt. With salt was much better. 🙂 Thanks for commenting! Nice! I need to show my wife this post. 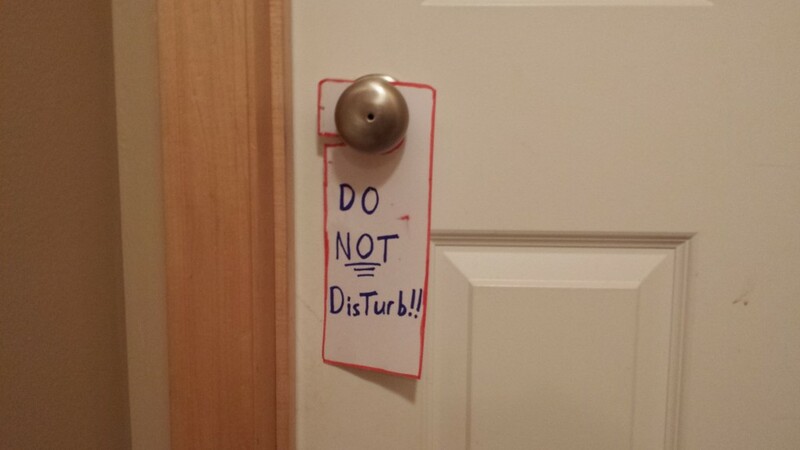 We try and get some alone time from our 3 children every so often. It always doesn’t have to be a full date night, sometimes a breakfast or lunch out is a nice break. A little TMI for me, but I’m glad you guys had a good night. 🙂 Rick and I went out for lunch for the first time since August, and it was wonderful fun! LOl, Laurie – I realize it’s not a product you’d expect to see featured on a personal finance blog. BUT, that being said, I think we can all agree that it IS important for couples to spend time together, and this promotion facilitates that at a pretty sweet price. I’m glad you and Rick made the time to go out for lunch together and had a great time – hopefully 2014 brings more such lunches! Ahh, the life of the personal finance blogger – ready and willing to feature anything so long as a great deal is included! Although the KY makes this post a little, uh, on the very personal side of personal finance, I think it is important to remember that you need to make room for dates in your budget. Taking care of your relationship is just as important as tending to your finances! Exactly right, Kali – taking care of our relationship with our significant other is very important. Maybe even more so when dealing with financial issues as that can cause a significant strain on the relationship. I gave tremendous thought the subject matter before taking on this project and decided that we’re all adults here, and sometimes talking about relationships may happen to make a passing reference to the intimacy that comes with a marriage or serious relationship. In the end, I figured if I did it right my readers wouldn’t be offended and understand where I was coming from. Hope I achieved my goal! Hey Rita! We rented “The Hangover 3.” It wasn’t the best of the series, but we got some good laughs from it. Thanks for dropping in! I totally had never heard of Plated before. Or Vudu. That’s a pretty incredible promotion, I’m surprised I hadn’t seen it advertised anywhere else (also, there’s nothing like a picture of K-Y on a personal finance blog to make you go “wait, what did I just click??”)! I had never heard of neither of them before either, Mel…..but I’d definitely use both of them again. I was surprised to see the Vudu service on my Blue Ray! 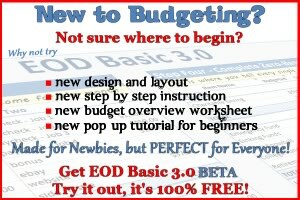 🙂 I know where you’re coming from with the K-Y product….we’re cutting edge and risque here at EOD, doing everything and anything we can to bring the best ways to save money to our readers!